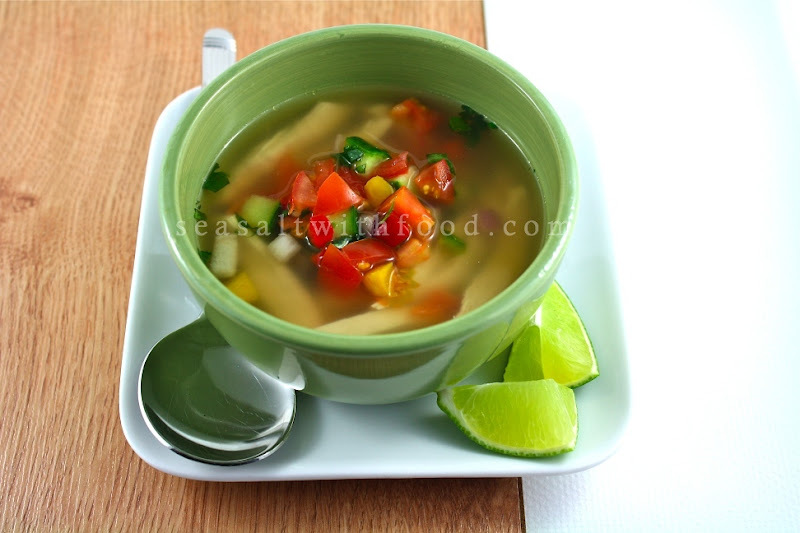 This Lime Soup With Chicken is healthy and very refreshing. If possible, consider using organic or free-range chicken to make the broth. Whole organic or free-range chicken is definitely more expensive; but, you can try to purchase just the carcasses for the broth, cheaper this way. So, do try making the soup and enjoy the rest of the week. To make the lime soup with chicken: Bring the chicken broth to a boil and season with sea salt if necessary. 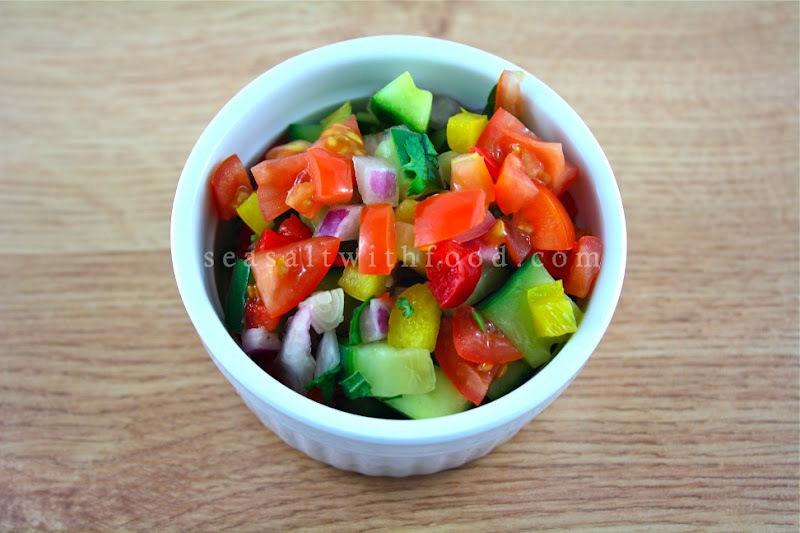 Place the diced tomatoes, onion, peppers, cucumber, chilies into each a bowls. 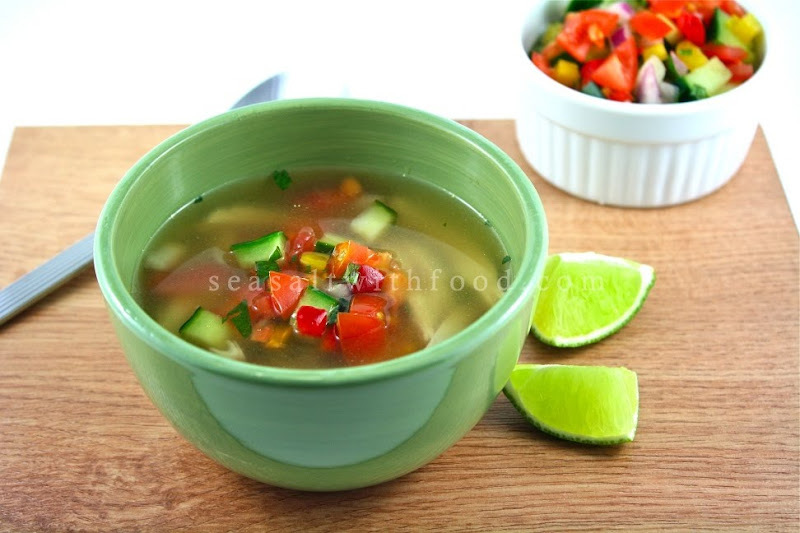 Ladle the chicken broth into the prepared bowls and season with lime juice and top with some chopped cilantro. Serves 6. I recently bought a whole free-range organic chicken and butchered it up myself (cheaper than buying it already seperated). Got a few dinners out of it, plus a huge pot os soup, which brought the cost down a lot. This soup sounds really delicious! @lk- healthy delicious : Yes, it's definitely cheaper buying a whole chicken. @tastestopping: I just checkout your website, great job! The tortilla soup sounds interesting and thanks for sharing he recipe. @Nutmeg Nanny: Thanks. Do try to make them at home. This is refreshing. I always love the addition of lime in a chicken soup. That soup is so full of color.